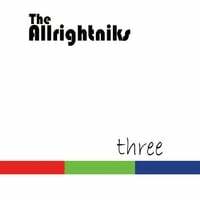 The Allrightniks-Three. Wasting no time after regaling us with an EP released early this year, The Allrightniks are back with their third EP cleverly titled "Three". This time around, they make a couple deviations from their Spongetones-styled power pop. For example, "Delaplane" is a bluesy, swamp-rock ode to the Virginia town in their neck of the woods, and "Moonshine" follows in a similar vein. But their trademark British invasion pop shines on the opener "Would've Already by Now" and "Until I Get to You". And the Big Star-esque "Something to Believe In" is another standout. Here's looking forward to EP #4. 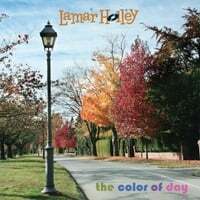 Lamar Holley-The Color of Day. Also returning to our pages (albeit after a longer absence) is Salt Lake City's Lamar Holley, whose The Color of Day is his full-length followup to 2009's Confessions of a College Student. This one picks up where the last one left off with more of his quirky "theater-pop", although the college student of the debut if now finding his way in the world. "Planet Buzz" sets the tone, a cross between a Broadway/Vaudeville intro with a commercial jingle, while the acoustic guitar-based "Roller Coaster" channels Jon Brion circa the I Heart Huckabees soundtrack. "One and One" is delicious piano pop, "Acting in Love" is a highly catchy number about an actor falling in love with his leading lady, and "Are You Really Mine?" is a beautiful piano ballad. Elsewhere, the delightful indie pop of "Holding On, Holding Back" with its boy/girl harmonies and the bouncy "Joe" round out the disc nicely. So in this holiday season, add some Holley to your home.